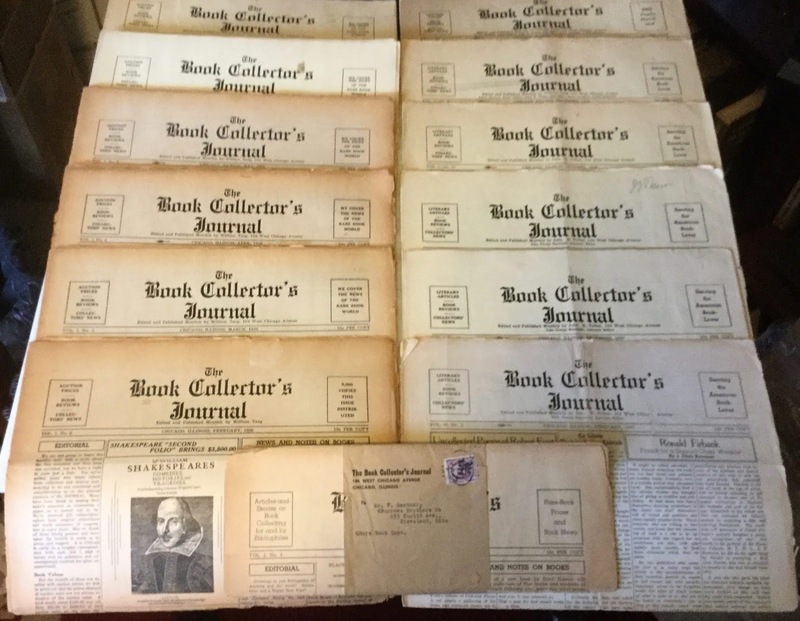 On Dec 4, 2003 an ebay seller put eight issues of The Book Collector's Journal up for auction. 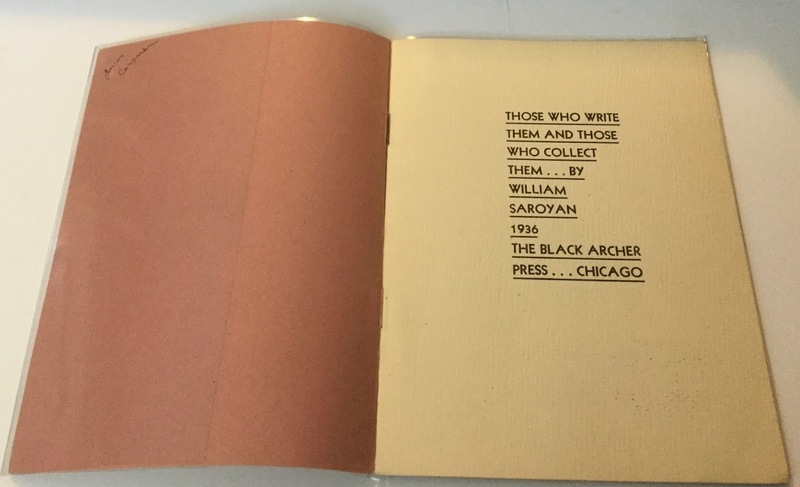 William Targ published this journal in 1936 when he was still a bookseller in Chicago. 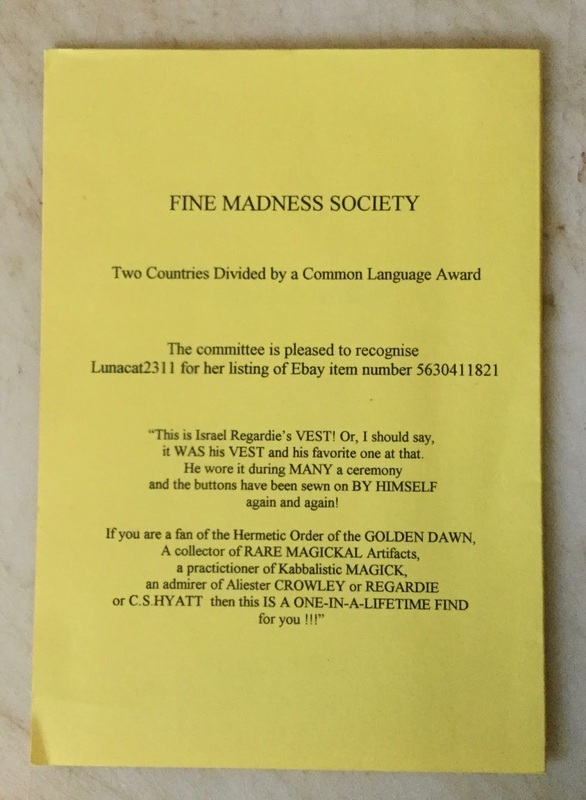 I had several reasons for bidding on this auction. I collected William Targ, I had most of the books Targ wrote. 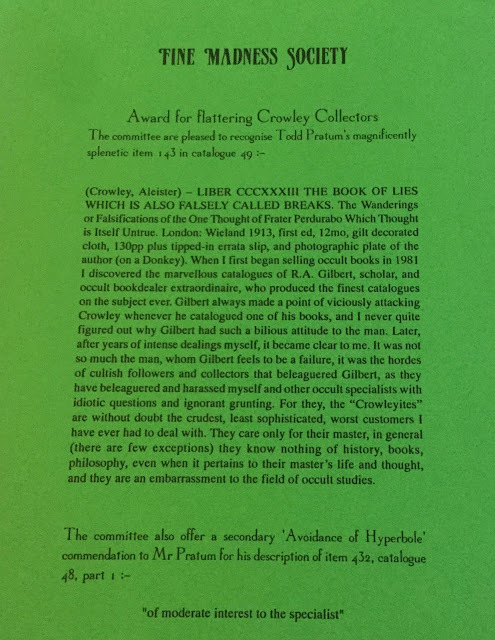 And I wanted issues of the periodical that he edited and published. I was particularly interested in acquiring the third issue on the left. I had seen that portrait of the man wearing a hat before. 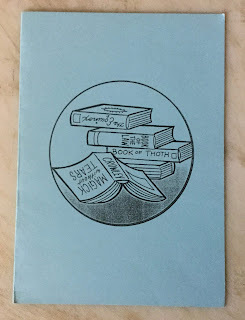 It adorned the front cover of a pamphlet that William Targ pirated in 1936. 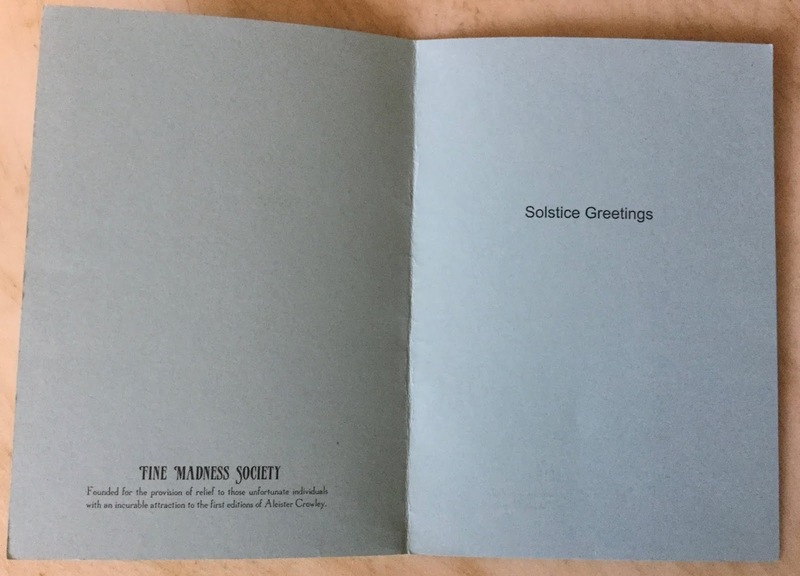 The title of the pamphlet was Those Who Write Them, And Those Who Collect Them. Willliam Saroyan was the author. Targ paid Saroyan ten dollars to write the article. Targ recalled the incident in his autobiography, Indecent Pleasures: The Life and Colorful Times of William Targ. 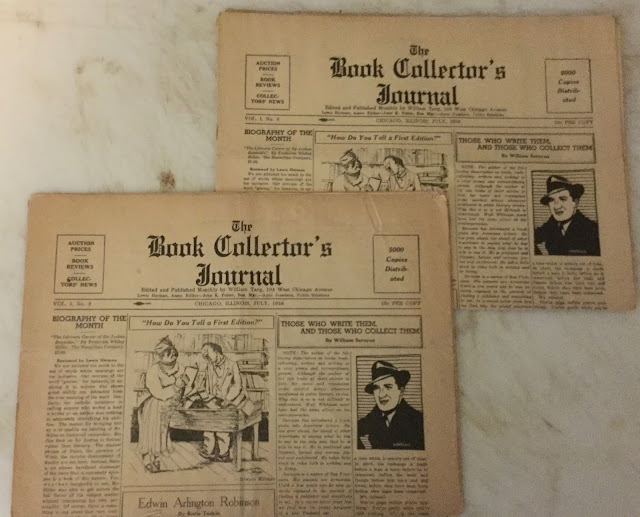 He was in the printshop checking the proofs of the July 1936 issue of The Book Collector's Journal when he decided to print fifty copies of Saroyan's article as a pamphlet and sell them for a dollar apiece. 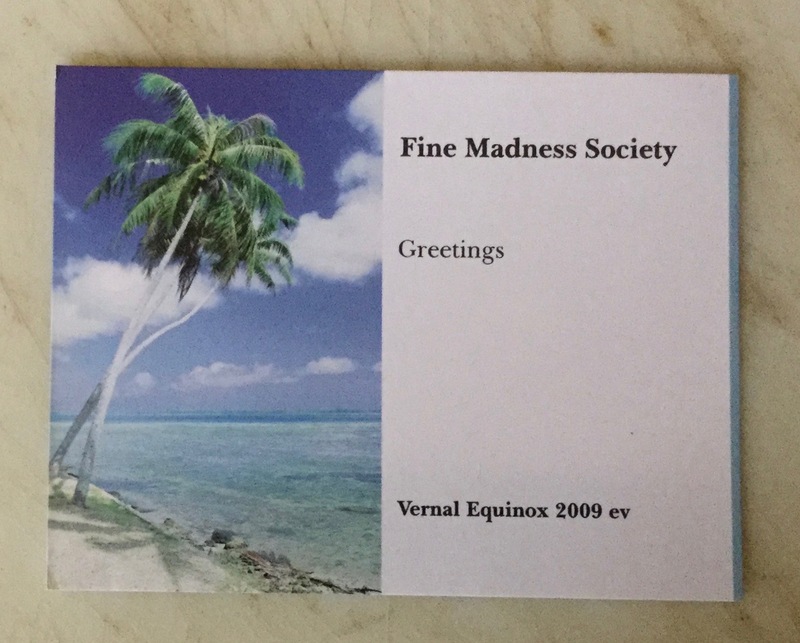 They sold like hotcakes. Targ ran into Saroyan in the lobby of the Algonquin Hotel in the early 1970s and said to Saroyan, "You don't remember me...." Saroyan responded with a leer, "Sure. You're Bill Targ; you pirated my stuff. I hear it's a collector's item." 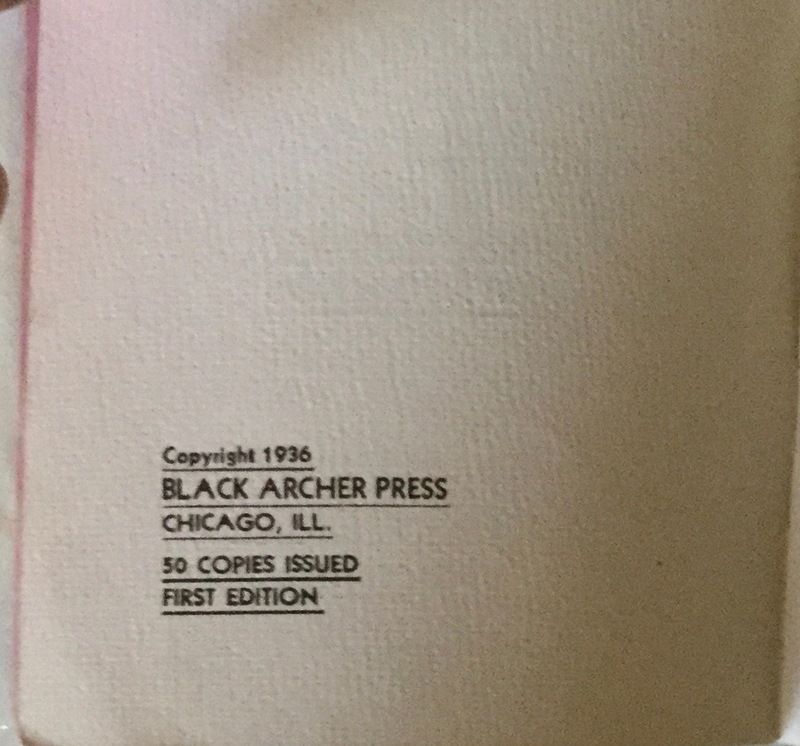 Targ then tells his readers that he'd seen the pamphlet listed for $50. That was in 1978 when Targ's biography was published. Fast forward to December 4, 2003. 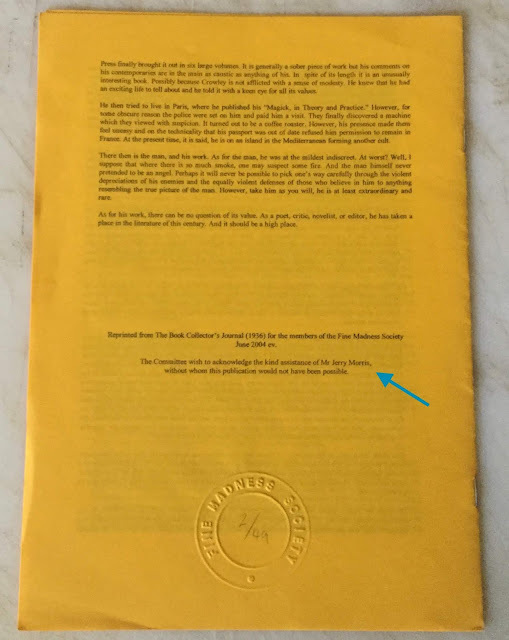 Those Who Write Them, and Those Who Collect Them was listed for not less than $300 on the web! If the pamphlet was worth $300, what was its first printing in The Book Collector's Journal worth? Fast forward to 2011. 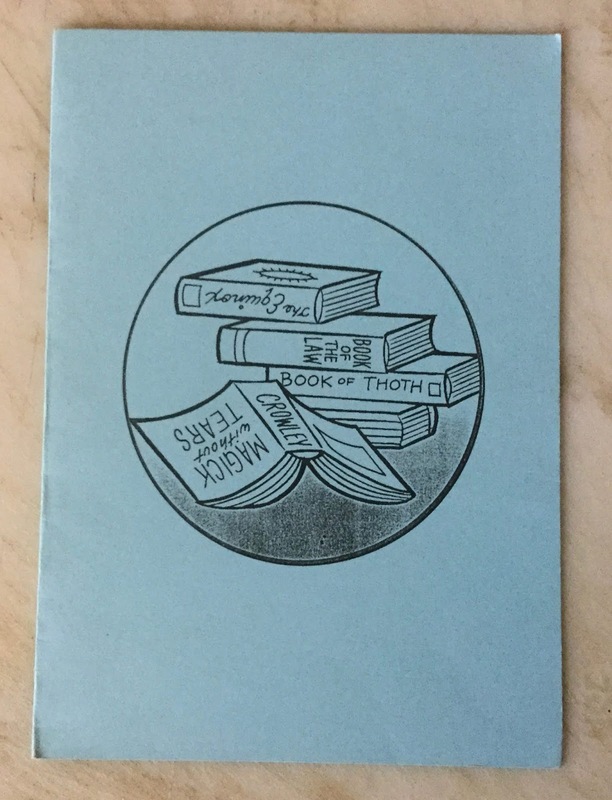 In the 2011 fourth edition of their book, Collected Books: The Guide to Identification and Values, Allen and Patricia Ahearn identify two different printings of the pamphlet. 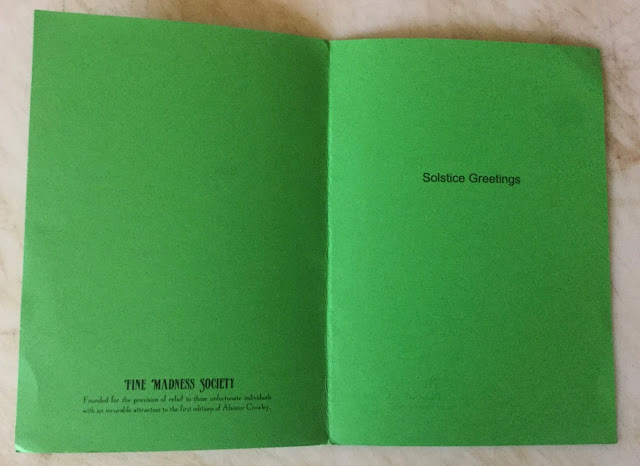 It was first printed in pale green wraps in a limited edition of 50 copies and valued at $400. It was later reprinted in rose colored wrappers with the same limitation statement and valued at $100. 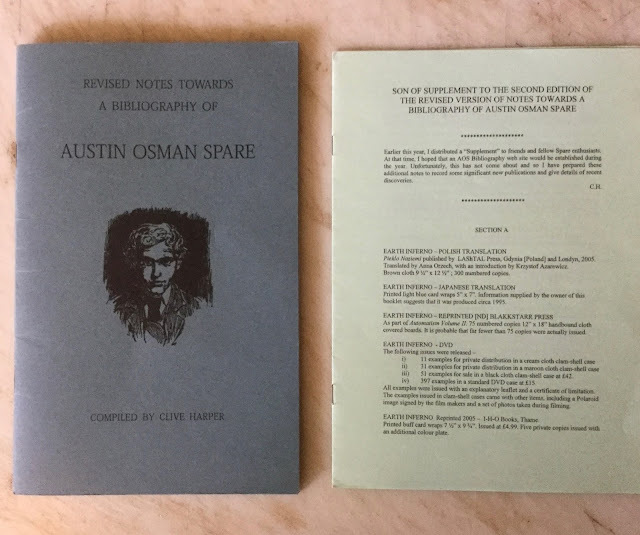 Currently there are two copies listed on the web, both in pink wrappers; one for $385 and the other for $195. I do wonder, however, if Targ limited himself to printing only 50 copies of the pink or rose colored edition. 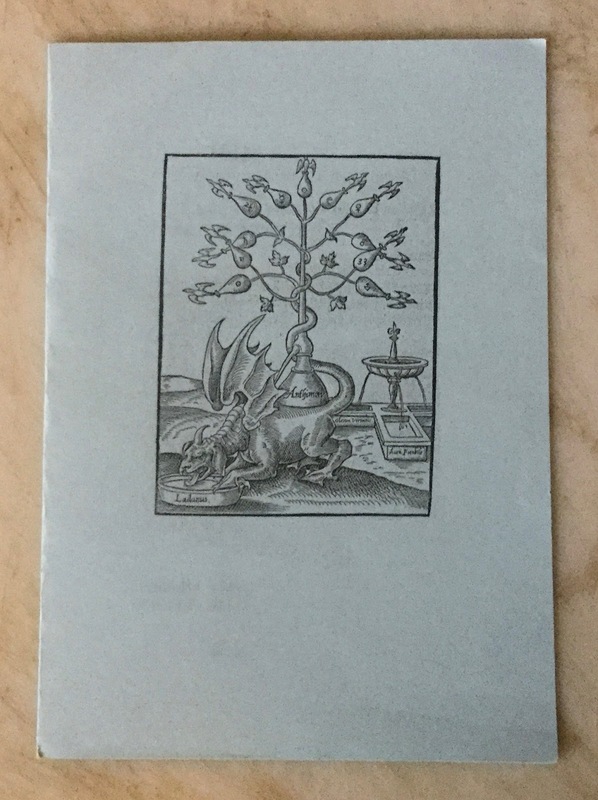 Worldcat lists 31 copies of the pamphlet out of 100 copies printed. 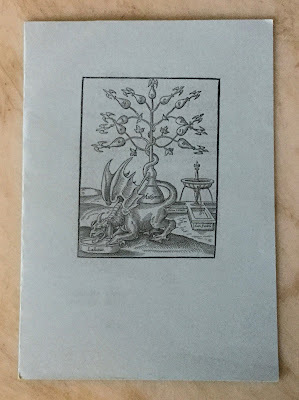 WorldCat lists 15 listings of the journal out of 5,000 copies distributed. 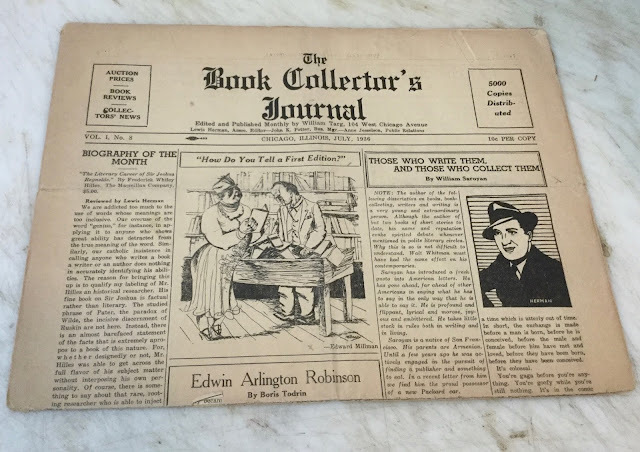 periodical in 1936 when he was still a bookseller in Chicago. 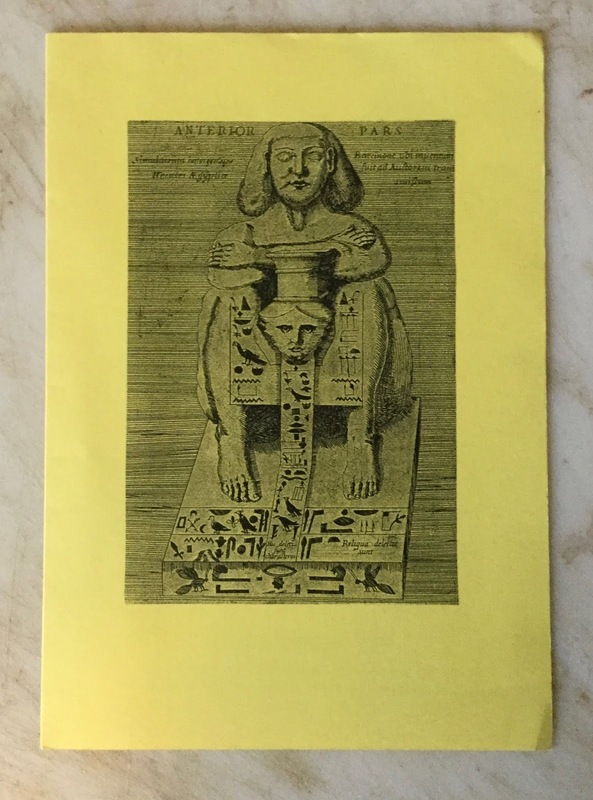 was an article on Aleister Crowley in one of the issues. further bidding until the day the auction ended. 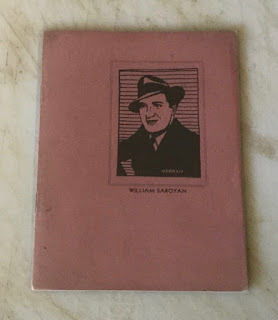 William Saroyan contributed two articles to these issues. increase my maximum bid? 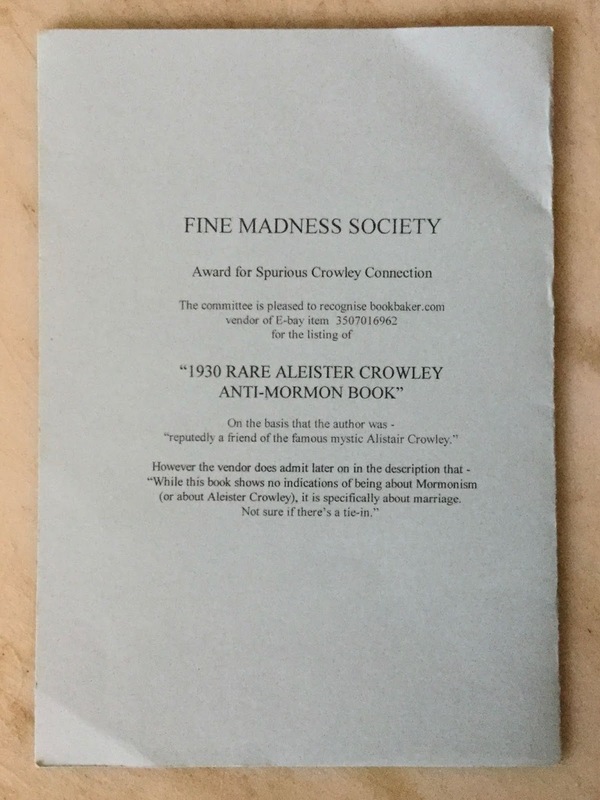 Will the Aleister Crowley collector bid again? Collector's Journal. William Targ published it. I collect William Targ. Saroyan's articles was Those Who Write Them and Those Who Collect Them. Auction Stealer made my snipe bid. The Aleister Crowley collector contacted me after the auction was over, introduced himself, and asked if I could make a photocopy of the Crowley article and send it to him. His name was Clive Harper, He was the Honorable Secretary of the Fine Madness Society, and he lived in High Wycombe, Buckinghamshire, about 33 miles west of London. I later learned that the Fine Madness Society was "founded for the provision of relief to those unfortunate individuals with an incurable attraction to the first editions of Aleister Crowley." 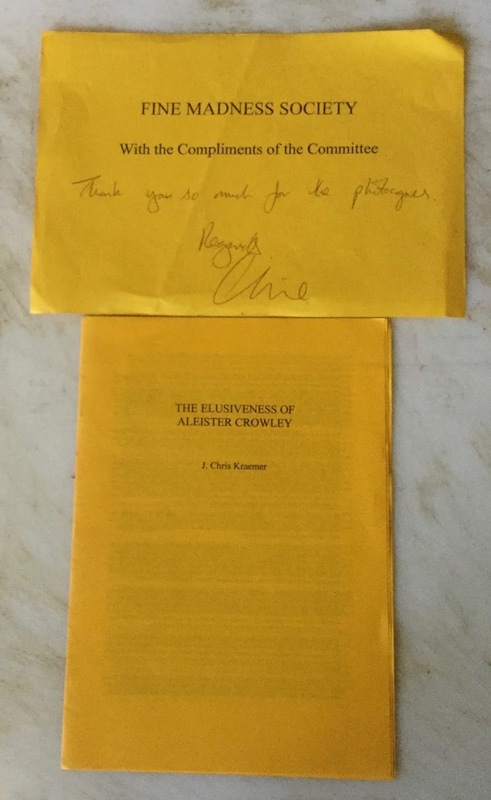 I made a photocopy of the article, sent it to Clive, and returned to savoring my own victory. 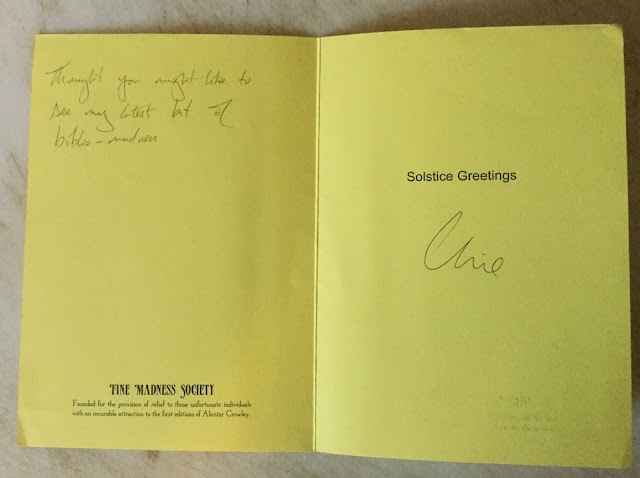 Not too long after our bidding war, Clive Harper sent me the first of four Solstice Card Awards. 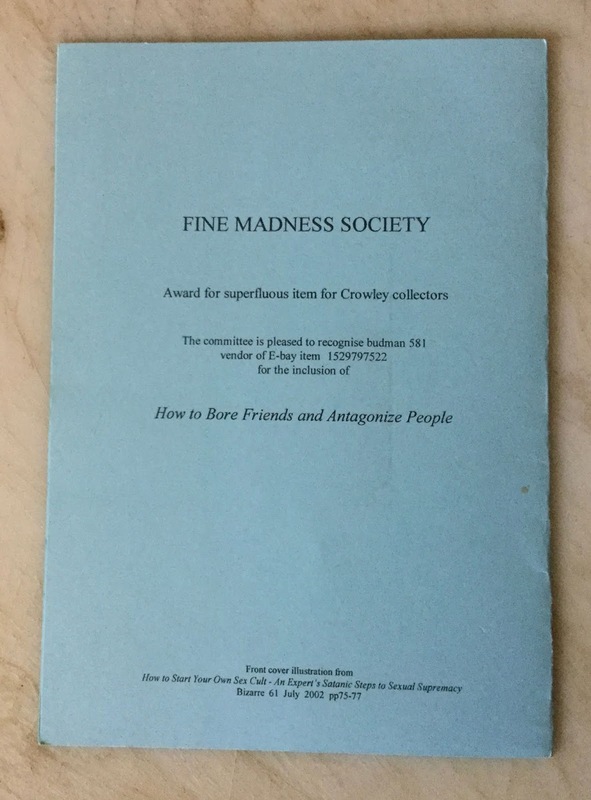 These awards were silly cards highlighting catalogue or auction listings that caught Clive's attention. Clive Harper also sent me an inscribed copy of his book, Revised Notes Towards a Bibliography of Austin Osman Spare, another author he collected, along with the Son of Supplement to the Second Edition of the Revised Version of Notes Towards a Bibliography of Austin Osman Spare. 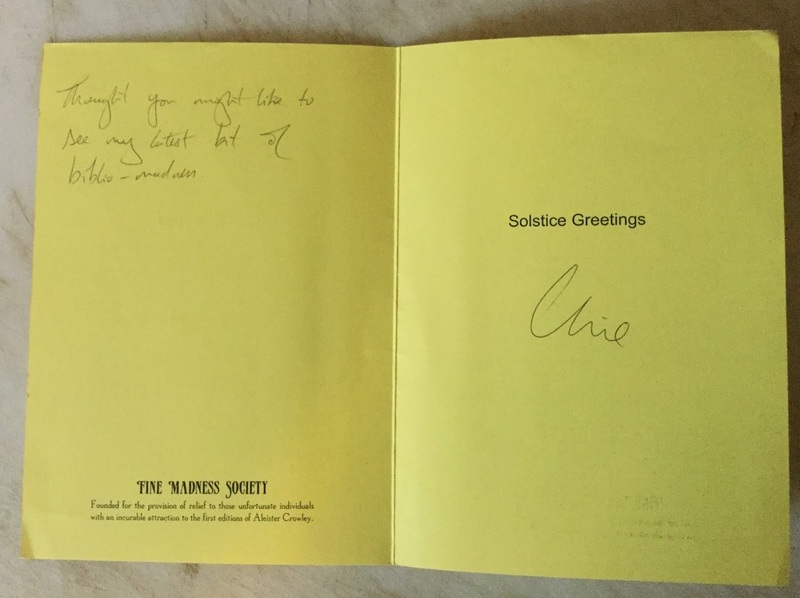 The Second Solstice Card Award is actually a two-fer! It was awarded over fifteen years ago to a California bookseller who is still quite prominent in the book world. I received another surprise from Clive Harper in June 2004: a copy of the article about Crowley that the Fine Madness Society reprinted from the photocopy I sent Clive. No. 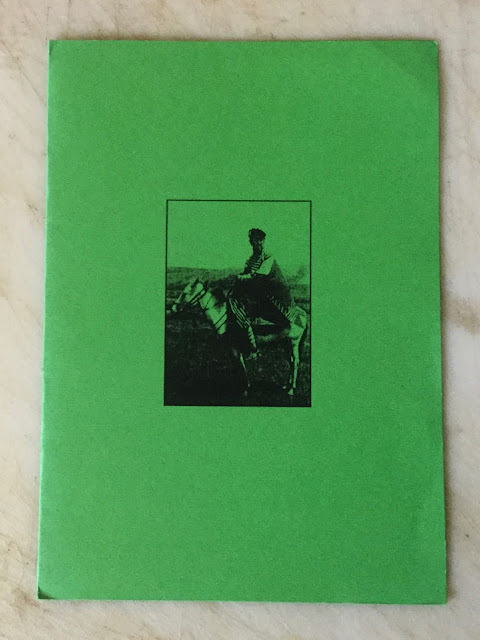 2 of 49 copies printed! Back to Targ and The Book Collector's Journal. 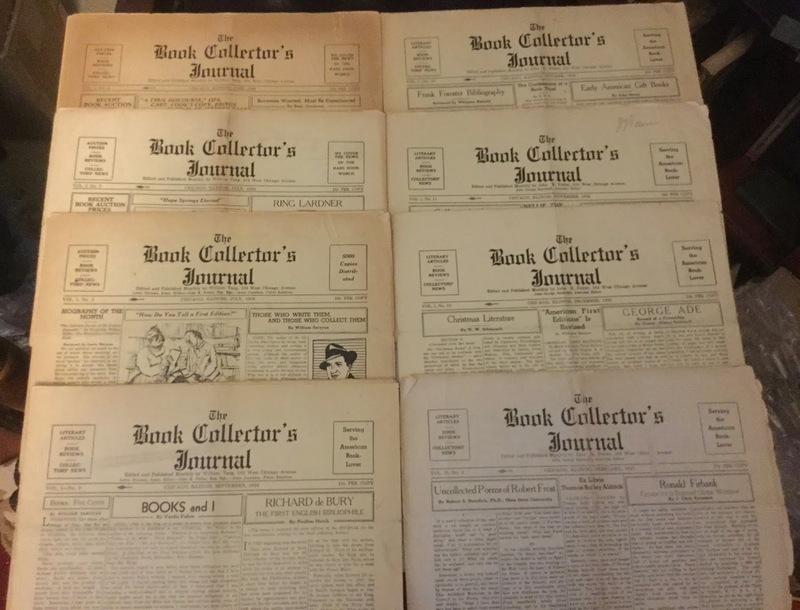 On ebay last month, I acquired the first nine issues of The Book Collector's Journal. 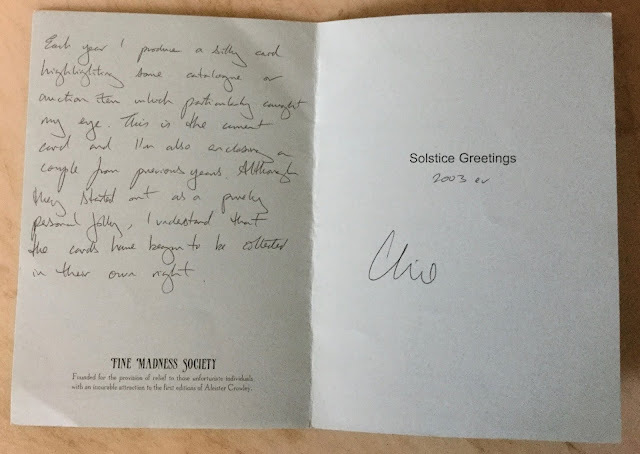 These copies are not in as good condition as the copies I acquired in 2003; the edges are flaking and the paper is splitting along the creases. I now lack only the January 1937 issue, Vol II, No. 1, to have a complete run of the periodical. 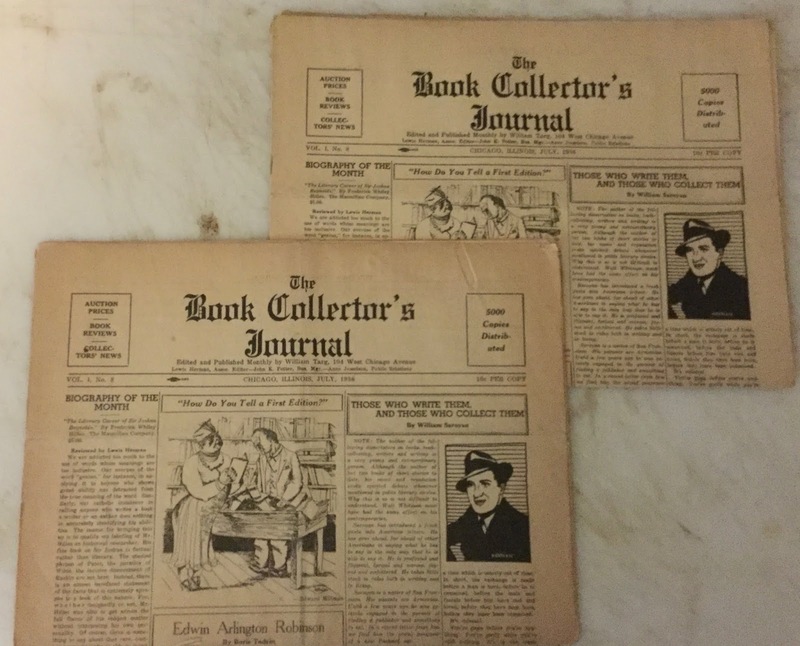 And I now have two copies of the July 1936 issue! Great story, Jerry, as always. Dear Jerry, you and I know Clive Harper, how nice! 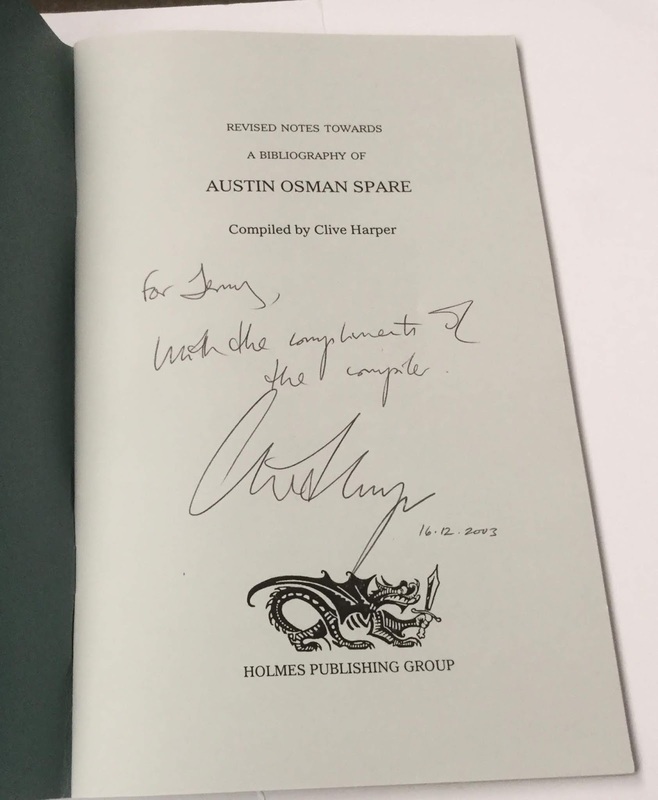 His A O Spare collection must be one of the best, I was happy to supply him with a few volumes. 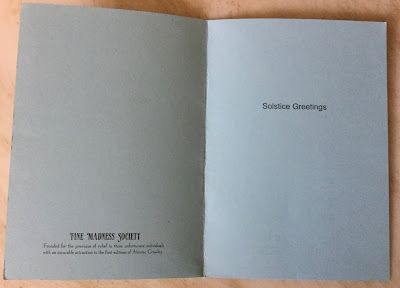 I loved getting his occasional cards and mailings though I haven't heard from him in a year or two.